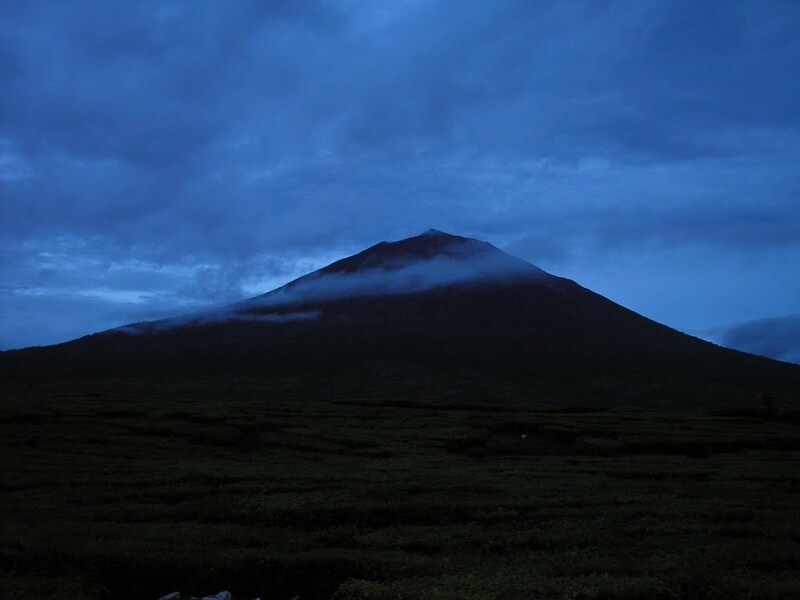 Mount Kerinci is the highest volcano in Indonesia and the highest Indonesian peak outside Papua (Irian Jaya). 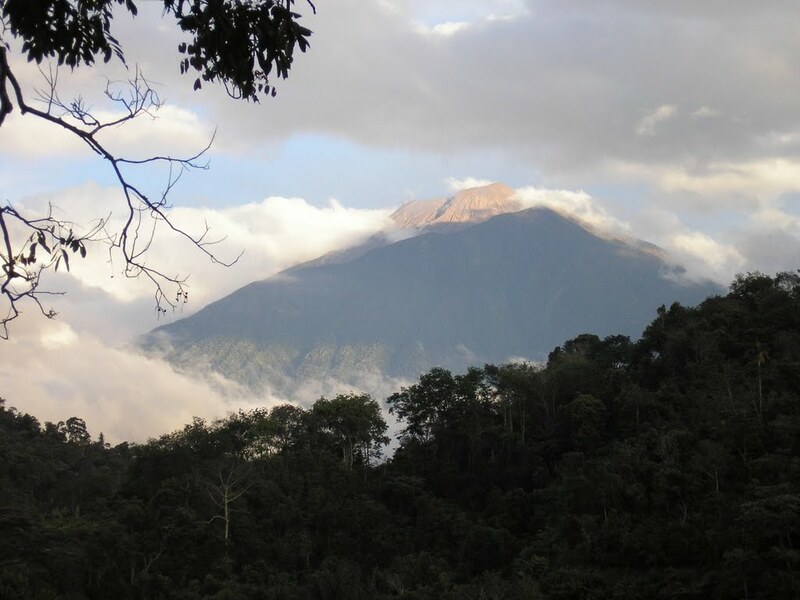 Much of the Kerinci Seblat National Park is located in the province of Jambi but the mountain itself is on the border with West Sumatra. 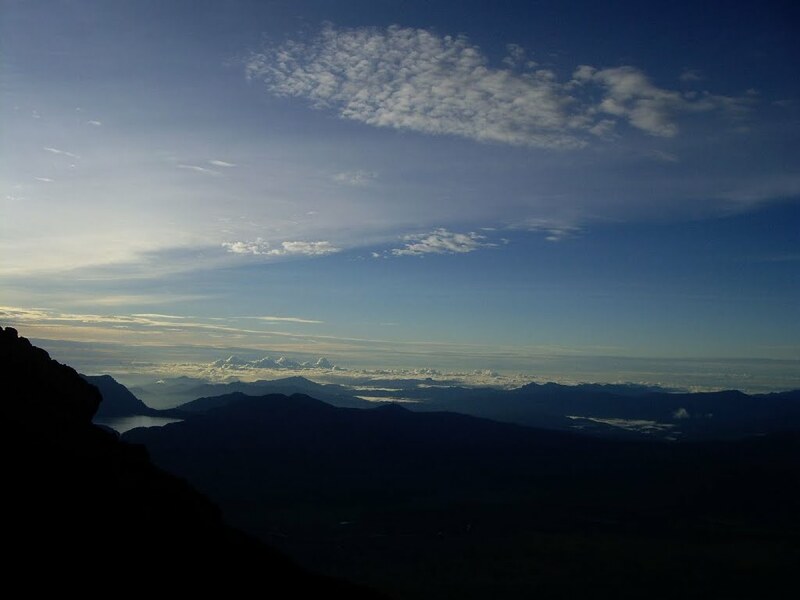 We are listing it as being in Jambi because local people regard Kerinci as a region of Jambi and because it is most commonly climbed from the Jambi side. 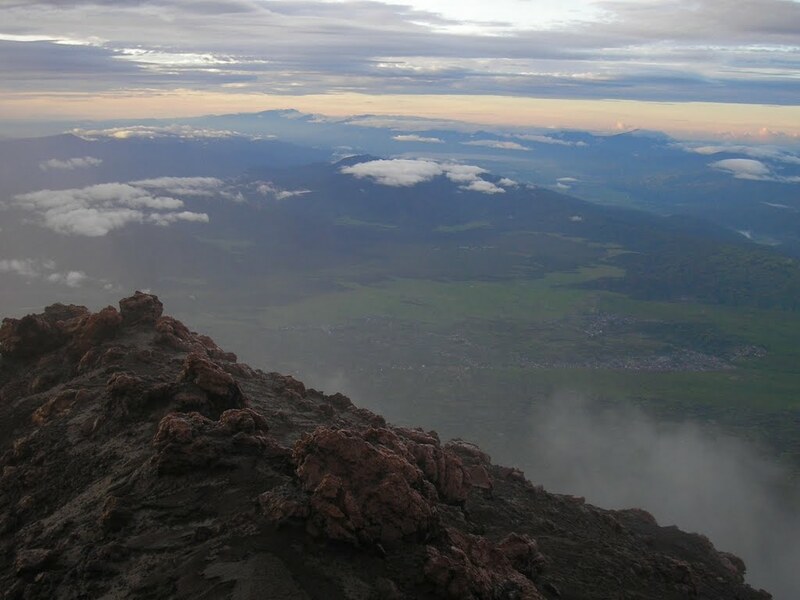 Considering its height, Kerinci is not as difficult a climb as you might think and the views from the top are amazing. 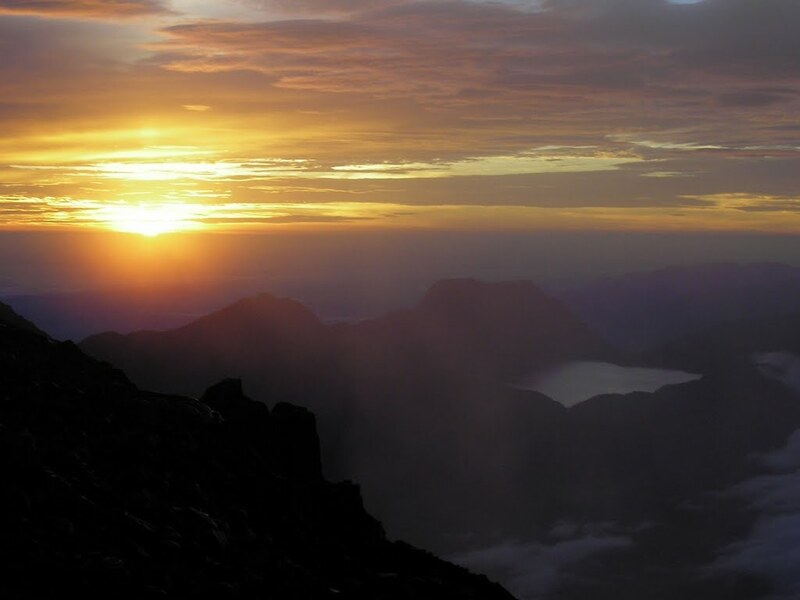 The closest airport is Padang from where it is a 6-8 hour road journey to the nearest accommodation to the Kerinci trail, at Kersik Tua (also spelt Tuo, 1,519m). Transport can be arranged at Padang airport or by contacting one of the homestays in advance. However, given the length of the journey it doesn’t come cheap so it isn’t recommended unless you have a group of 4 hikers minimum. Although it is possible to get to the top and back in a very, very long day (minimum 12 hours hiking there and back), it is recommended that you spend a night on the mountain at Shelter 2 (3,040m) or even the more exposed Shelter 3 (3,306m). 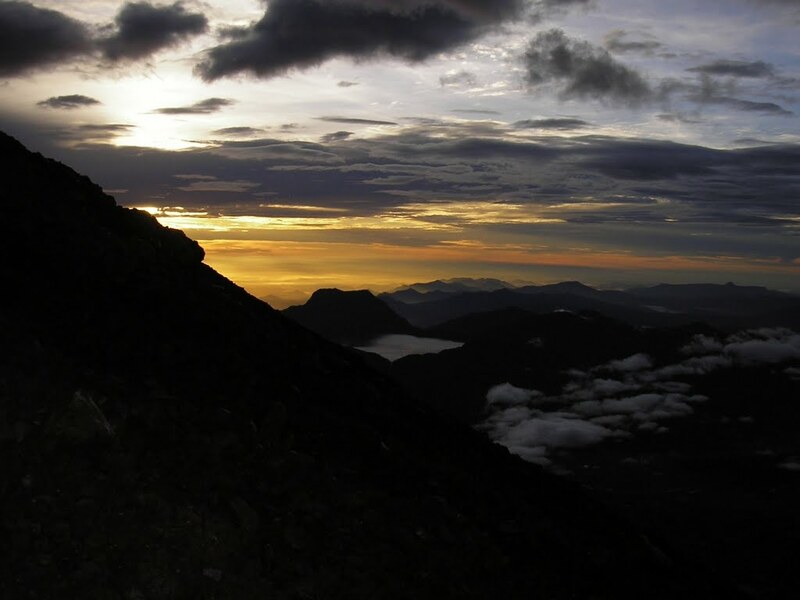 The summit is usually cloudy after mid-morning so if you want to admire the views it is best to plan on reaching the top for dawn the second day before making the descent back to Kersik Tua. The water sources are not reliable so make sure you take ample supplies. You need to obtain a National Park permit, available from one of the homestays in Kersik Tua, which currently costs a reasonable Rp 20,000. It is also a good idea to take a photocopy of your passport with you. The best known homestay in the area is the one owned by Pak Subandi, one of many ethnically Javanese who live in the area. 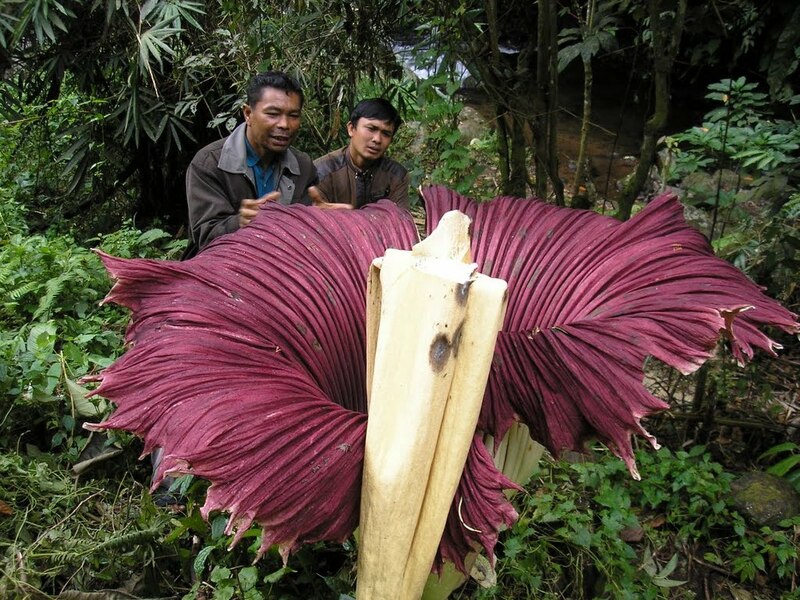 He is an expert on flora and fauna and many people stay here to explore the amazing animal and plant life including incredibly rare birds, pitcher plants, Armorphophallus titanium (the tallest flower in the world) and perhaps even elephants and tigers or even the mysterious Orang Pendek, a bipedal ape of Yeti-like reputation. There are plenty of guides available and Pak Subandi will provide you with some excellent meals of local produce both on and off the mountain. Make sure you discuss the cost in advance to avoid being surprised when the bill arrives. 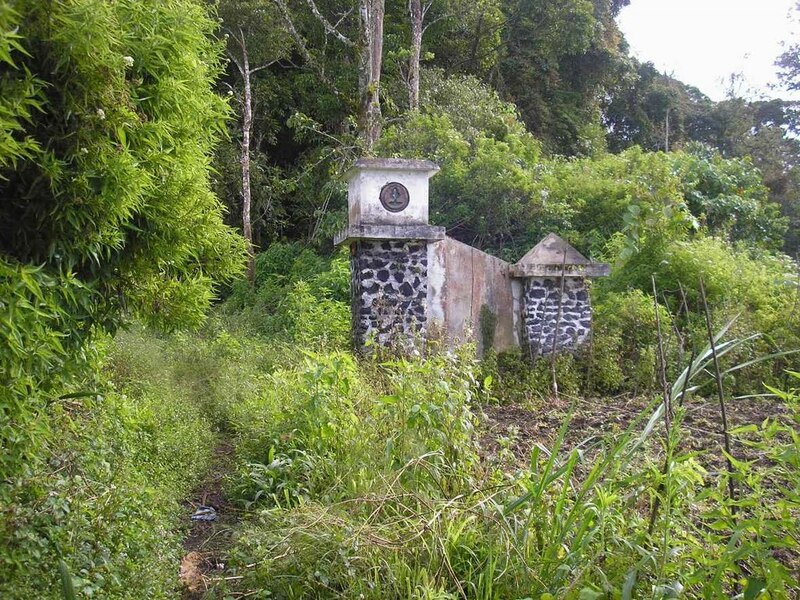 The trail itself starts about 5km west of Kersik Tua, through the tea plantations past the very visible statue of a tiger. 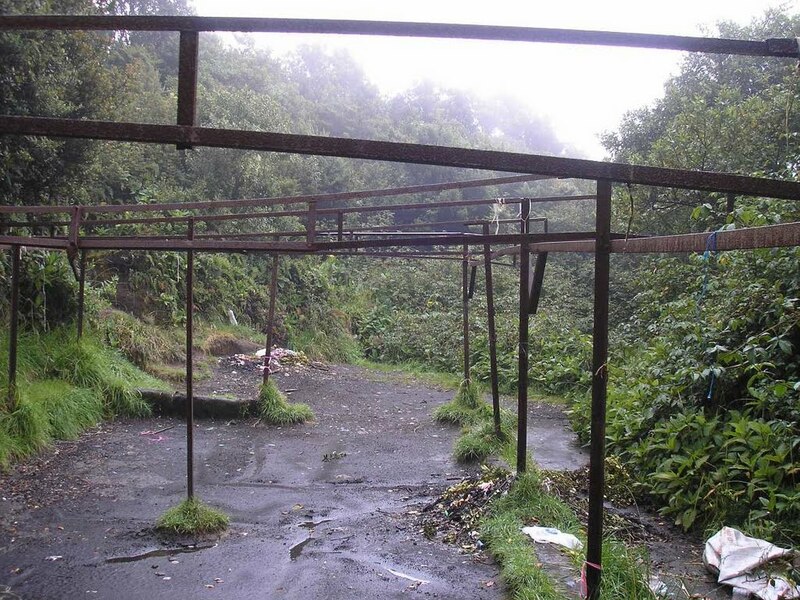 At the end of the road at 1,755m there is a dilapidated signpost beside fields of chillis and potatoes. 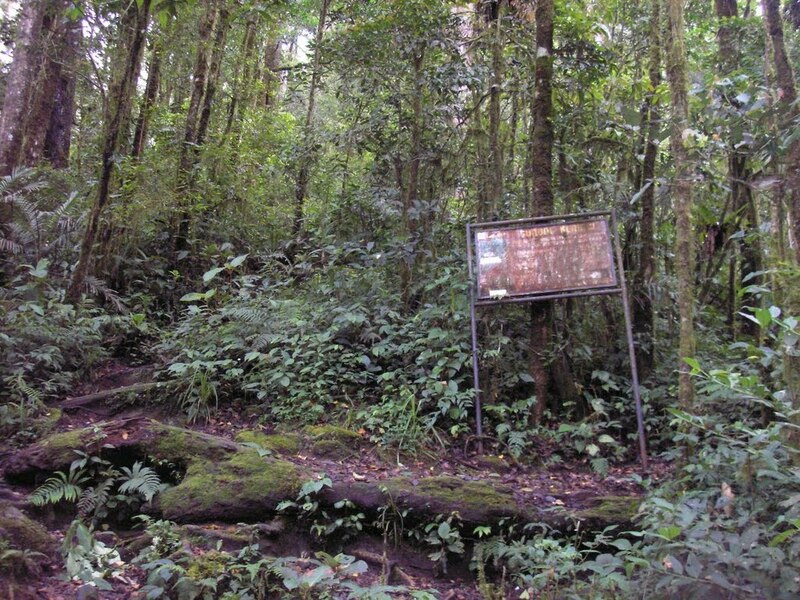 The trail leads past a ranger post and up into the forest. After 30 minutes, Pos 1 (1,880m) is reached and after another 30 minutes you should have reached a rusty old sign (1,988m). 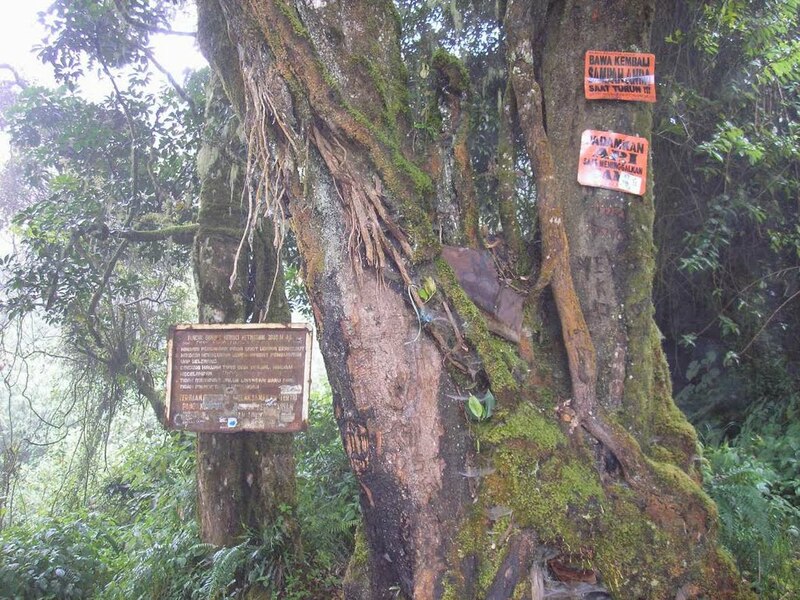 There is a shelter at 2,207m and another rusty sign next to a large tree at 2,450m. Sections of the trail are steep muddy gullies which can be problematic when it rains but generally there are no technical difficulties. At 3,040m there is a small path leading down to Shelter 2 on the left. This is the best camping area on the trail as it offers some protection from the wind and there is often a source of water down in the gully beside the camping area. There are metal frames here so extra tarpaulin would be excellent to keep you extra protected from getting soaked in the usual afternoon rains. It takes 3 hours to the summit from here which means a starting time of 3am if you want to see the sunrise from the top. Alternatively you can camp higher up beyond the treeline at Shelter 3 (3,306m) which will save you an hour in the morning. 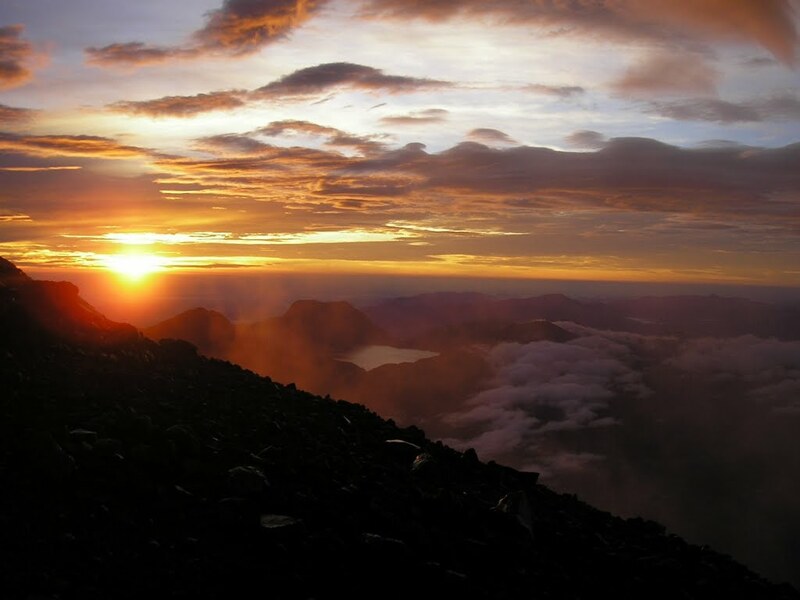 It is much more exposed but you will have great views of neighbouring Gunung Tujuh and the Gunung Tujuh Lake from your tent. From the edge of the treeline, the trail is steep and there is plenty of shallow scree to negotiate. It is a good idea to wear gloves and make sure you have a torch you can attach to your head so you have both hands free. The tiny summit area appears quite suddenly and is marked with a cairn and orange flag which lies between two rocky outcrops. Down below steeply to the right is the smouldering crater and to the left is the Indian Ocean. 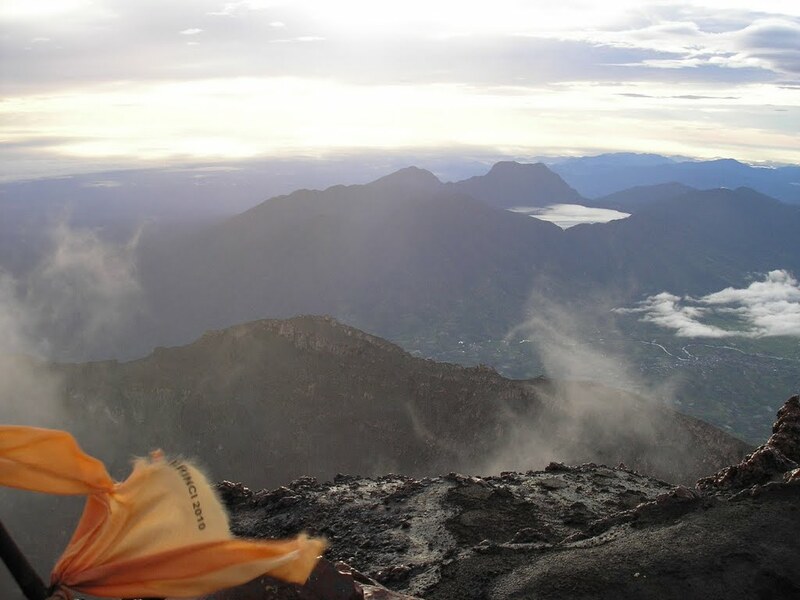 Views are extensive – you should be able to see Gunung Tujuh on your right, Gunung Raya and Gunung Masurai to the south, and Gunung Talang, Gunung Marapi and Gunung Singgalang to the north. After celebrating having reached the top of Indonesia’s highest volcano, it is a long walk back down to Kersik Tua and Pak Subandi’s delicious potatoes. UPDATE: As of 2017, there is now a second official route from South Solok in West Sumatra, which is closer to Padang airport. Do leave a comment below if you have already tried the new route. Getting there: There are regular flights to Padang’s International airport from Indonesia and neighbouring countries. It is then a long 6-8 hours drive to the starting point. There is public transport and ‘travel cars’ for which you share a car with others but it will take you most of a day. The alternative is to fly via Jambi to Kerinci Airport at Sungai Penuh – much closer but just one turboprop flight per day with 10kg checked baggage weight restriction. 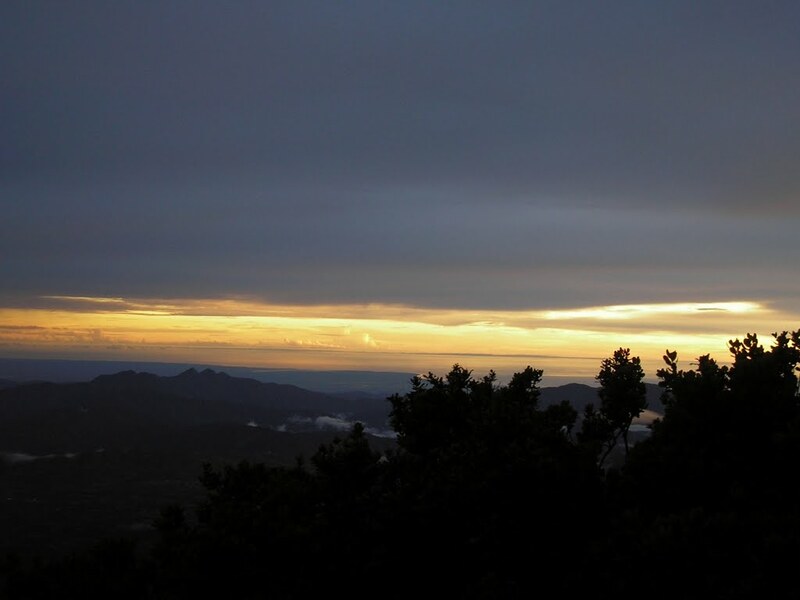 Accommodation: There are several homestays in Kersik Tua and nearby villages. Permits: Available from the homestays in Kersik Tua for Rp20,000 per person (2013) – take a photocopy of your passport photo page. Water sources: Sometimes available at Shelter 2 (3,040m). 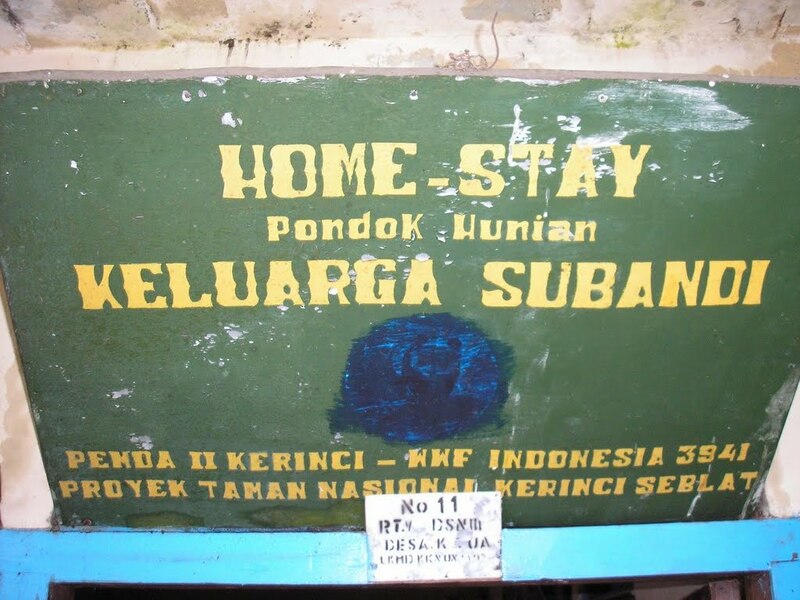 10th Padang to Kersic Tua and homestay. 11th trek and stay at shelter. 12th summit, back to Kersic Tua and straight to Padang in the evening. 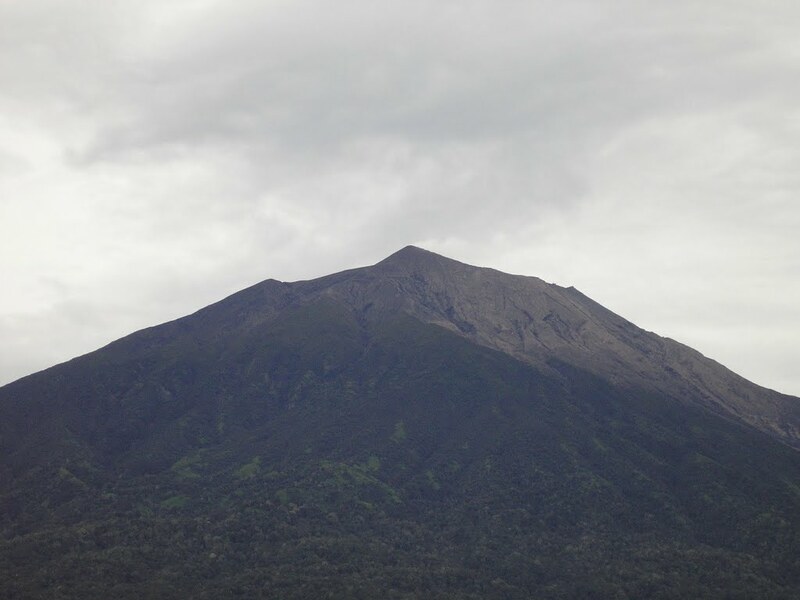 Summited Mt Kerinci on 16/03. I did the round trip from Kersik Tuo straight (no camping). Took me 13h10min from and back to the tiger statue. There is a 50min approach walk from this statue to the trail start (Pintu Rimba) that you can avoid by using ojek. So this time can be easily pushed down to 11h by doing so. Started climbing solo at 00h50 from the statue. Took 50min to reach the entrance (Pintu Rimba), then 1h to reach Pos I at 2225m, then 45min to reach Pos II at 2500m. Until there it is a fairly easy hike. It gets steeper from here. Use of hand is mandatory to clear some passage. I rested more than necessary at Pos II because wind was blowing strong and I didn’t want to reach the treeline before the sun rise. Hopefully wind decreased when the sun came. Left Pos II at 4h06, reached Pos III (the camping ground above treeline) after 2h20 hiking. Then it’s another not that hard 1h30 hike to the summit. View is stunning up there, the crater is impressive. 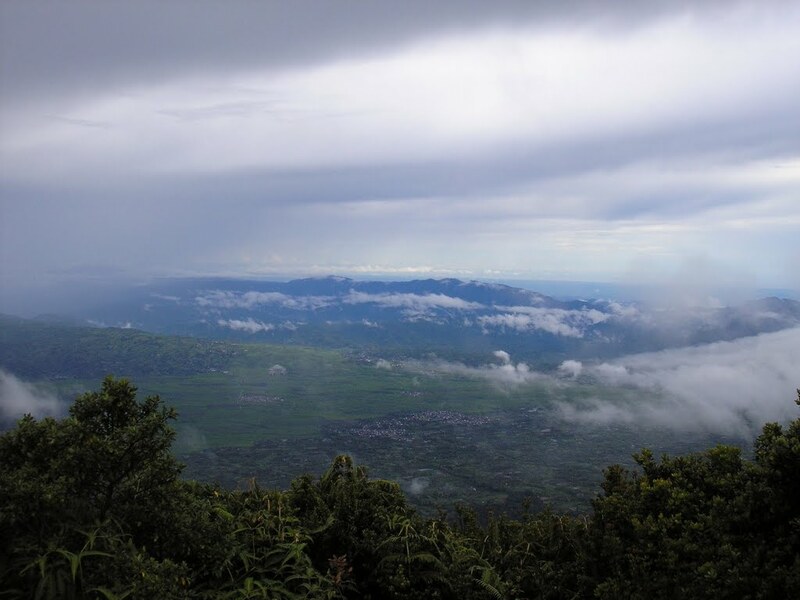 Unfortunately the view to the North (towards West Sumatra) was clouded. All other directions were clear. Total ascend time from Kersik Tuo : 7h10. After 40min on top I started my descend. Be careful until Pos III because scree make it slippery. Gloves could be useful but using the sleeves of your jacket works too. Total descend to Kersik Tuo : 5h. Guides are definetly not mandatory, trail start is easy to find with Gunung Bagging’s GPS track and Maps.me shows you where to turn from the main road. From there is very straightforward to Pos III. From Pos III to summit it’s very simple with a clear weather because the trail is marked with poles. 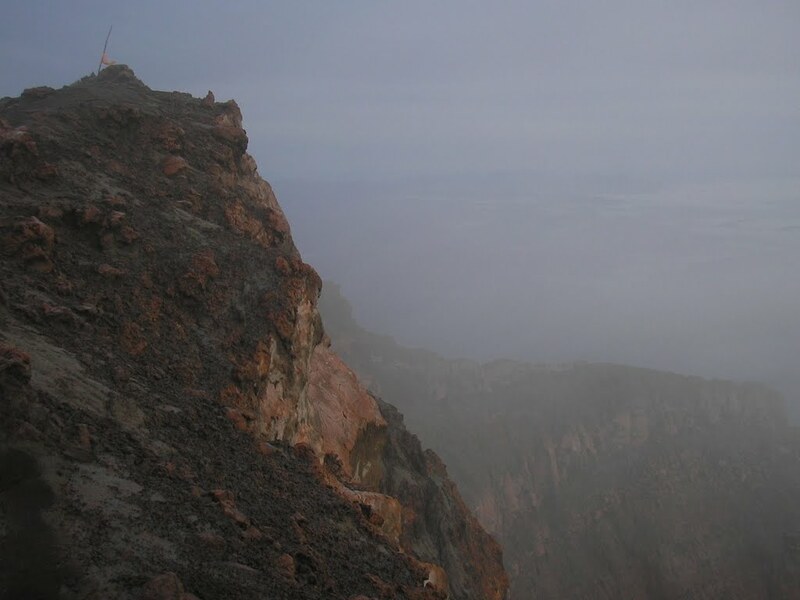 Be cautious if it’s foggy but it’s very unlikely that you end up alone in this section given Kerinci is climbed almost everyday (about 20 people attempting summit on a Thursday in my case, and met at least 50 people climbing on Friday morning). Camping on top allow you to enjoy the forest by day during ascent and descent. If weather and fitness permit, it’s possible to make the round trip starting at sunrise. Regarding entry fees, it’s now 15k for locals and 150k for foreigners but I didn’t see anyone to collect it. Your guesthouse can do it for you. 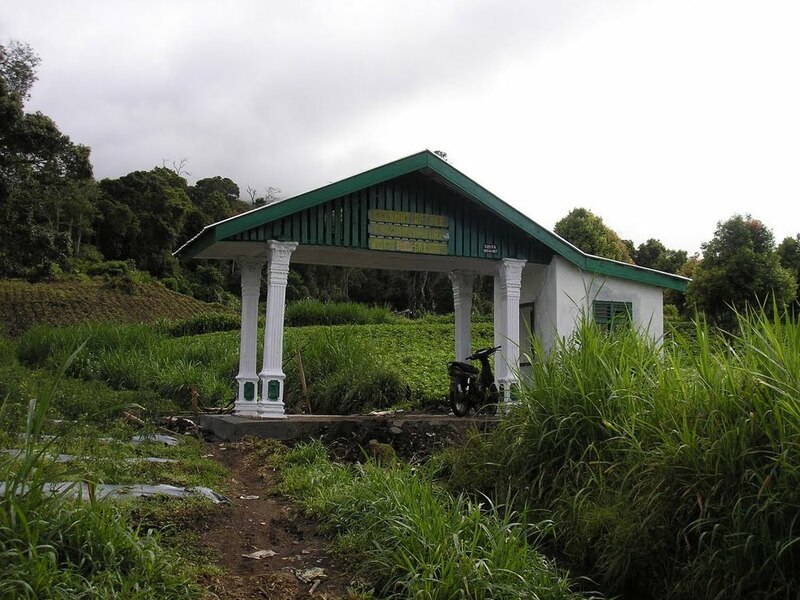 A new route up from Solok Selatan, West Sumatra is about to be officially open. 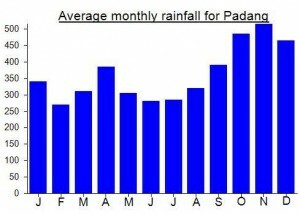 Well done to the local hiking clubs and authorities. Hi Dan, according to a Sungai Penuh local met on summit this new road is very seldom used because it’s longer than the classic one. Typically 2 nights of camping seem to be required, it would join the classic road on the slopes of the volcano, at the place where people write their names using stones. Getting there. From Padang Airport I took the Tranex minibus (Rp24,000, 1 hour) to Simpang Lubeg, where there is a cluster of travel offices, then a travel car (actually a Toyota hatchback, Rp120,000, 7 hours) to Kersik Tua. 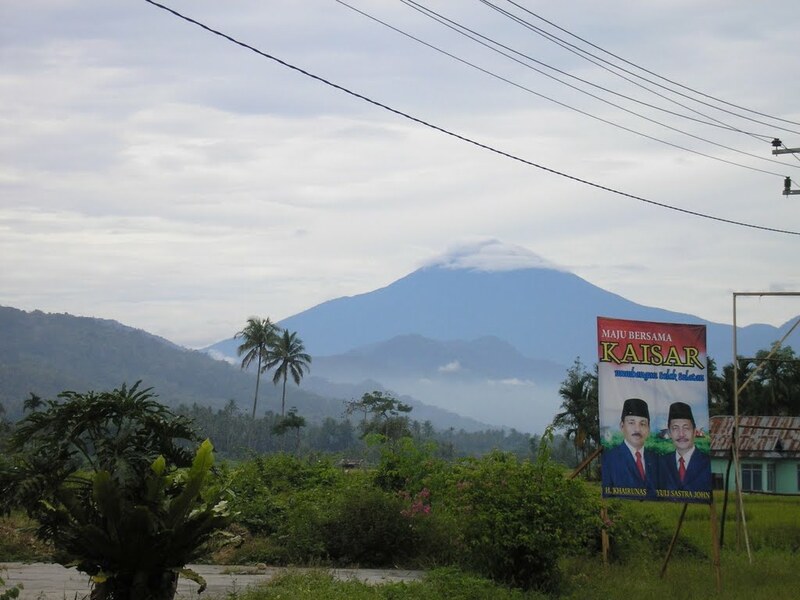 Returning from Kersik Tua to Padang, I took the Cahaya Kerinci minibus booked for me by Pak Subandi (Rp100,000, 8 hours), which dropped me directly at my hotel; the Colt minibus was preferable as the driver was more reassuring and the high ground clearance is better suited to the potholed and flooded highland road. Logistics. Pak Subandi, at Subandi Homestay, seems more used to arranging all-in group tours with equipment rental than to just finding guides for hikers like me with their own camping gear and food. 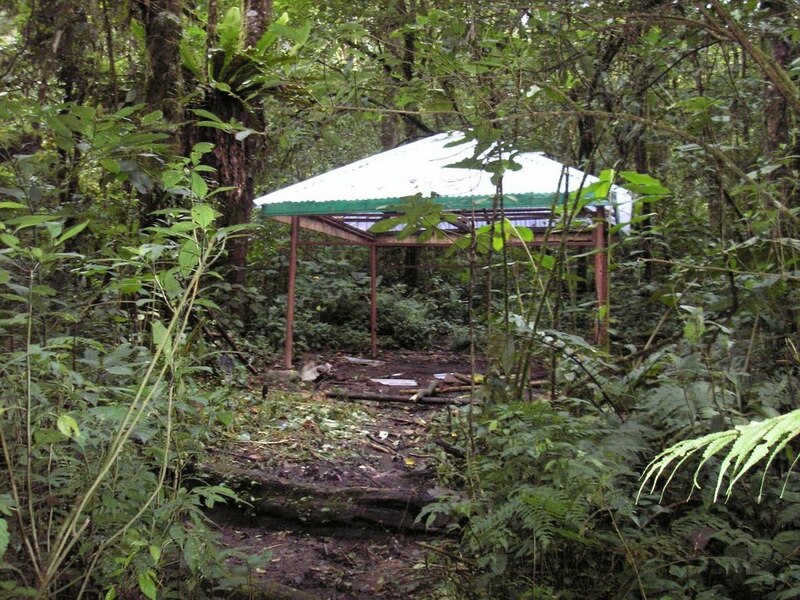 Eventually, we agreed a price of Rp2,000,000 for the 2-day hike, including a guide, porter, transport to the trail head, 3 meals, and a plastic sheet to act as an extra tent cover that could have been very useful in heavy rain. Day 1. We started walking at 09.15 and reached our campsite at 15.30. We camped just below Shelter 2 in a clearing beside the trail at 3005m altitude, with good views back toward Kersik Tua. The hike up was more taxing than expected because much of the trail had dissolved into churning, squelching mud. This resulted from several weeks of rainy weather and from the large number of hikers- over 1,000 according to a warung owner at the trailhead- who had just climbed the mountain for Indonesia’s Independence Day; fortunately for us, enough people were coming down as we went up to free up some camping space. Day 2. After a 03.15 start, we passed Shelter 3 at 04.30, and reached the summit at 06.30. Although we had clear skies at Shelter 3, making it easy to follow the line of flashlights snaking up the mountain, clouds rolled over us about 05.00, making it hard to see even the guide just in front of me. 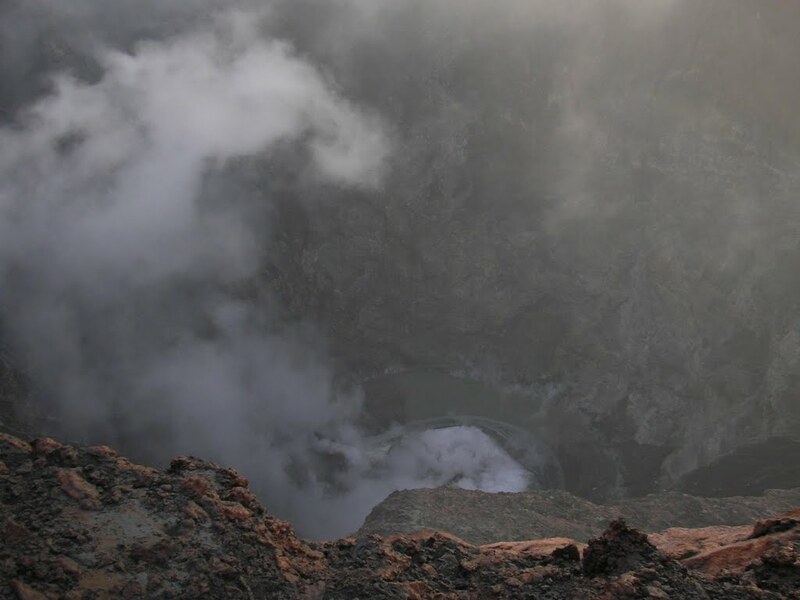 Sulphurous volcanic gases stung our throats and eyes after Shelter 3, but they did not get any worse, and even cleared up somewhat, as we approached the summit. The narrow summit ridge seemed rather crowded with about 50 people on it; on Independence Day, with hundreds of people on it, it must be a little dangerous. We took 3 hours to descend to the campsite, and then a further 5 hours to return to the trailhead, as the muddy, slippery conditions made hurrying treacherous. 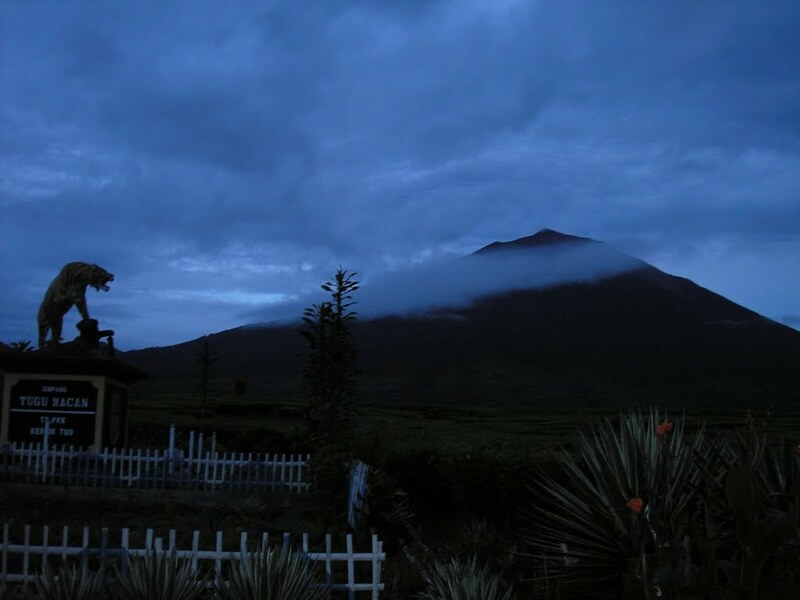 As we returned to Subandi Homestay at about 17.00, we experienced the best conditions of the whole trip, with the mountain finally free of cloud cover! Most of the foreign tourists I met around Kerinci were devoted birdwatchers rather than hikers and it’s easy to see why. Even without binoculars I spotted many beautiful species, including what may have been the coveted Schneider’s pitta (Hyrdrornis schneideri), as well as lizards, frogs, squirrels and macaques, all seemingly undeterred by the thousands of humans tramping past. 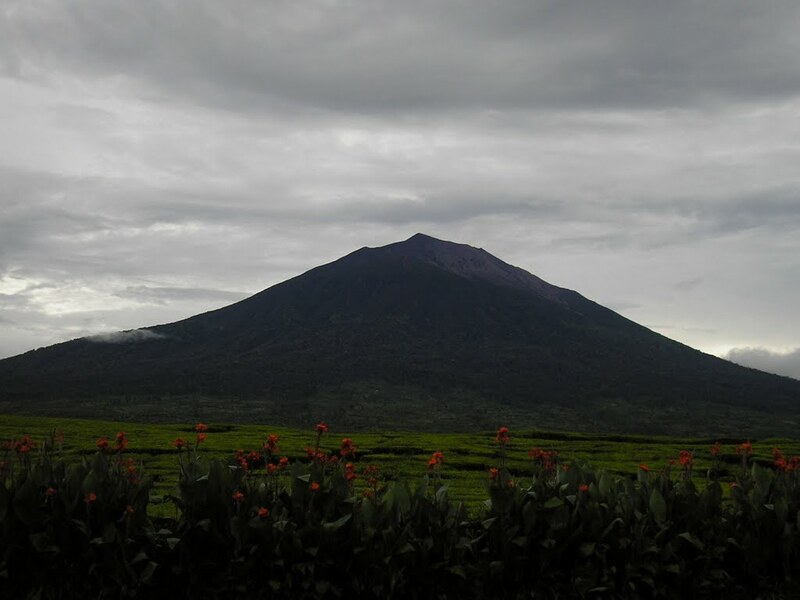 I climbed Kerinci on April 11/12 th 2017. 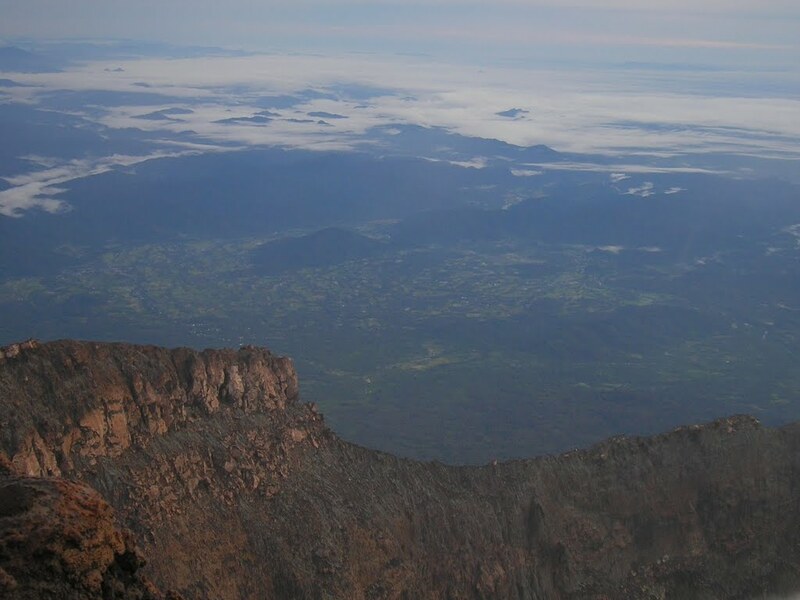 The roof of Sumatra ! And it really is ! The view up there is breathtaking. The ascent is quite long but intense. I parked my motorbike at the beginning of the trail. There is still a small warung there. I began at midnight and and I climbed it by night without a break. Make sure you calculate well you ascent time because close to the top, it’s freezing. For the accomodation, I recommend Homestay Paiman and Shelter Coffee for a tea/coffee break. 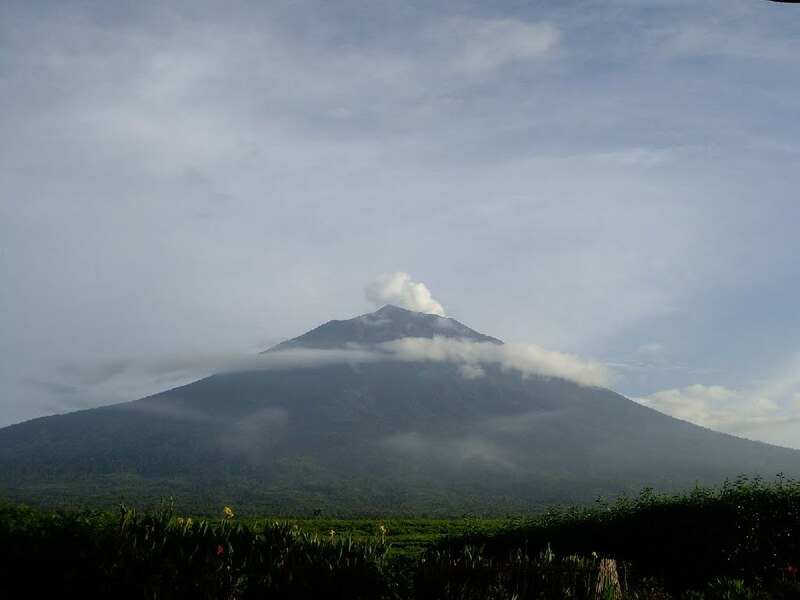 Spent a windy 2 days/1 night on Kerinci. Well worth the effort! Angkots can be found from the traditional market down valley in Sungai Penuh (roughly Rp. 20.000 for the 1.5 hour ride to Kersik Tua). You can be dropped off right on Pak Subandri’s doorstep. Pak Subandri is still the undisputed face of Gunung Kerinci and is a marvelous gentleman. Rooms run roughly Rp. 150.000/night. From Pak Subandri’s front door he can arrange one of his sons to drove you the 5km to the trailhead. 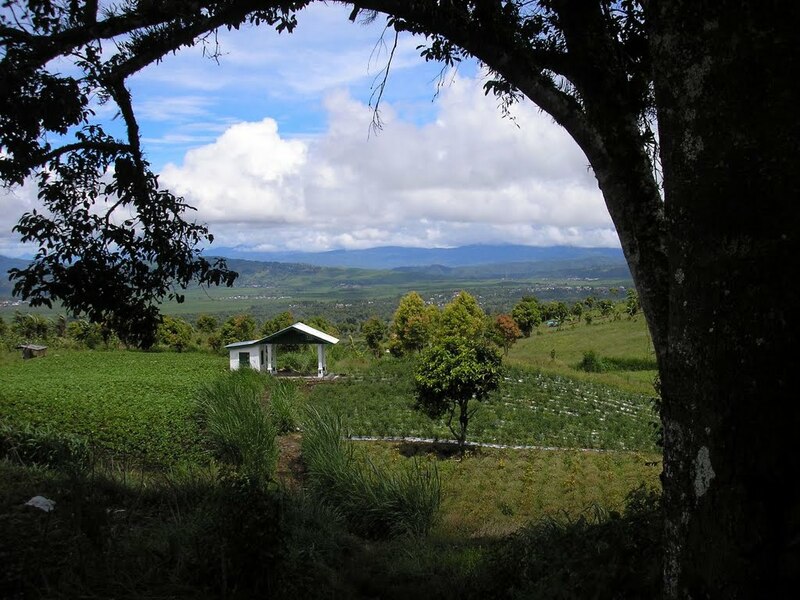 Alternatively it’s a pleasant hike on foot through the tea plantation (and gives you more satisfaction afterwards). We managed to make the summit in 6 hours with 4 to descend. The trail is as described. Water can be found as Pos 3 but we took 4.5 L/person which was just enough. Worth noting that we experienced winds in excess of 80 km/hour at night (camped at the exposed Pos 3) and into our hike to the summit – enough to blow a quality tent out of its stakes and bend the tent poles. The climb to the summit required dropping to all fours from time to time. Nothing undoable, just be prepared. From Pos 3 to the summit, poles mark the best trail up. It’s advised to follow them. 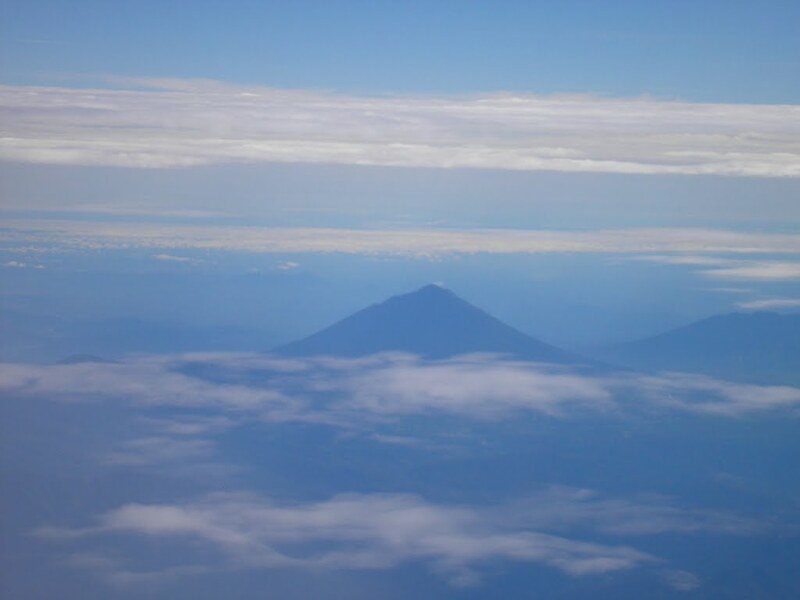 Excellent view over South Sumatra then back to Pak Subandri’s. Great place to hike. Not an easy terrain, especially the toughest part from Shelter 2 to Shelter 3, where use of hands (glove would be very useful) is absolutely necessary. This section is where you will monkey up or down, which makes it quite special (but highly dangerous in the rain). 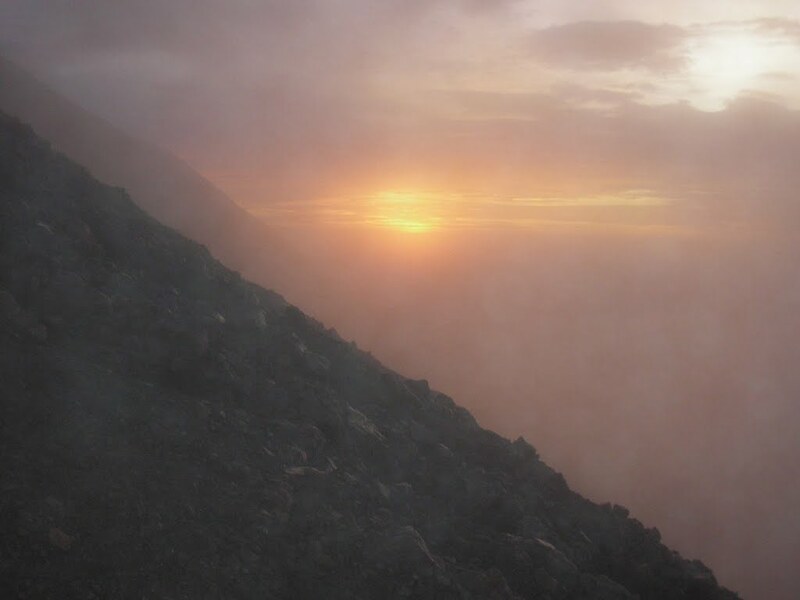 Beautiful changing landscape at sunrise at the summit, but view was quickly obstructed by sulphuric smoke blowing in our direction. Wind was awfully strong starting from camp at Shelter 3 all the way to the summit. Always be prepared to be covered with more layers to avoid discomfort. 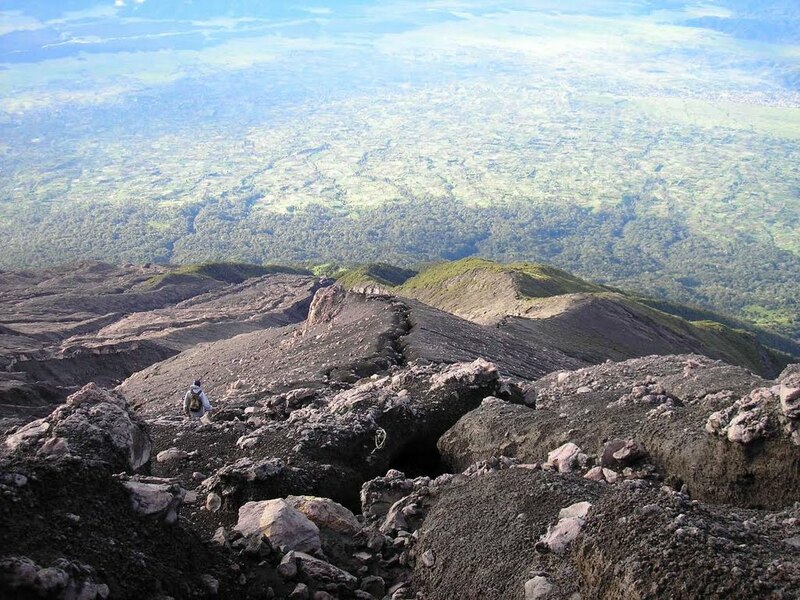 Based on my experience, it seems that the hike from shelter 3 to the summit of Kerinci is a little less difficult compared with the the night trek from the camp to the summit at Rinjani, Lombok. 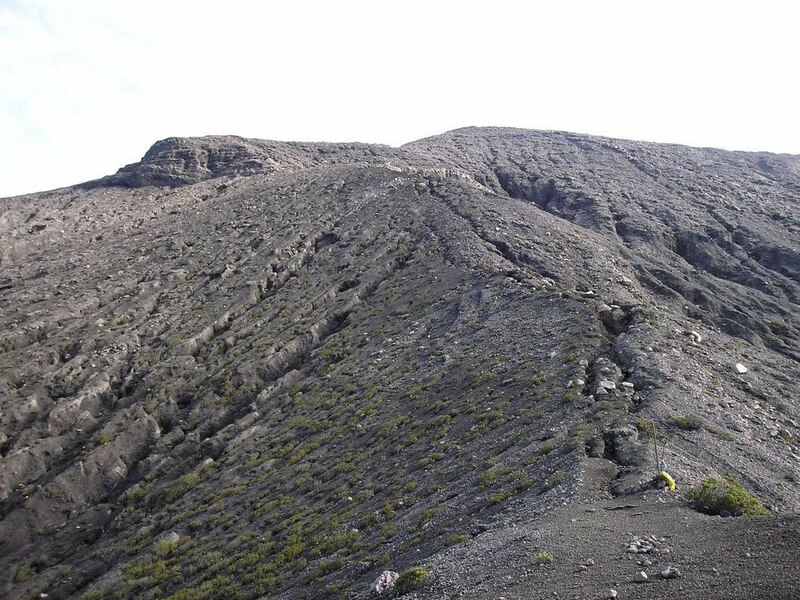 This is probably due to larger section of scree to negotiate at Rinjani. We are a group of 8 (5 of whom were totally inexperienced) and we used Pak Subandi to organise the porter, camp, food, etc. Overnight at Subandi’s Homestay is nice as the food is great. 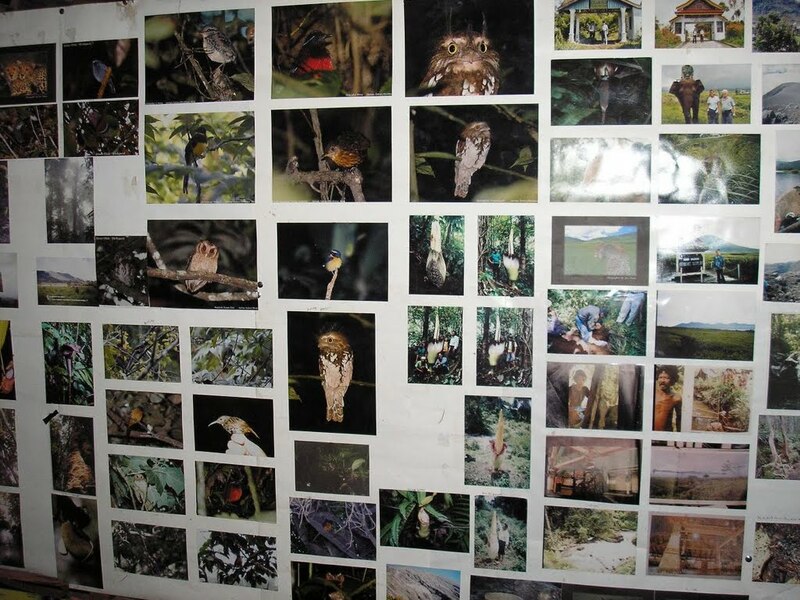 Not to mention the unmatched hospitality of the highly experienced naturalist. Highly recommended to bag this mountain. The landscape is extraordinary right from the village of Kersik Tuo all the way to the top. 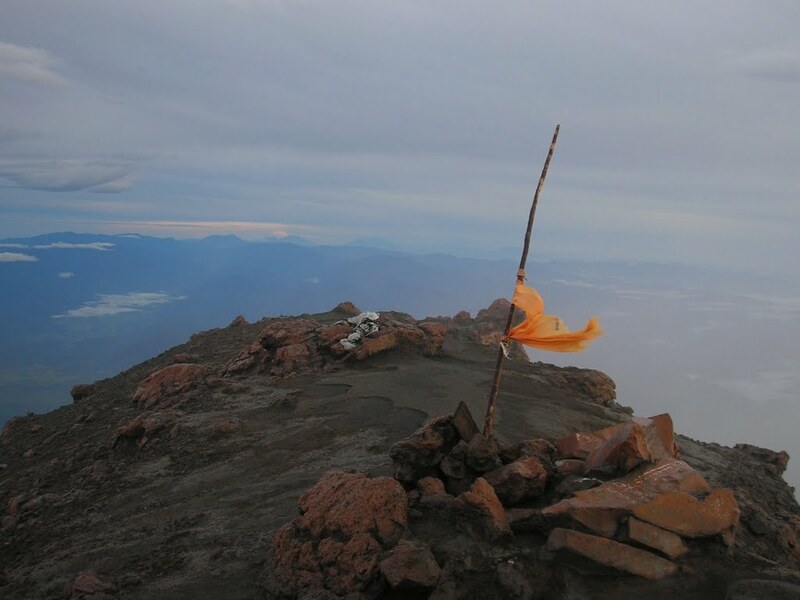 Hiked Kerinci on 2016-01-05 with Pak Rapani +62 812-7111-7133. paid Safa Marwa 175,000 IDR /person for transportation to kersik tuo from padang airport. We paid Pak Rapani 1 million IDR/per person for the full package minus porters: 1 night at rapani’s homestay, transportation to the mountain base, hiking up with guide, all food (dinner + bfast + lunch + dinner + bfast + lunch + dinner) and tent, sleeping bag. We carried our own stuff up. From shelter 3 to the summit is a little bit more difficult. As long as there is good visibility its easy to find your way around, but I can see how people could die if fog rolls in and you walk off the route into a ravine. All in all, a good experience. I haven’t hiked Rinjani, but will type up my experience briefly. Probably you have already know. I just hiked Kerinchi yesterday. However summiting was much easier with Kerinchi. Just a quick question – do you recommend a guide and porters for this trip? Is the trail obvious or is a guide highly recommended? For any hikes on an island with tigers on it, a guide is 100% recommended. 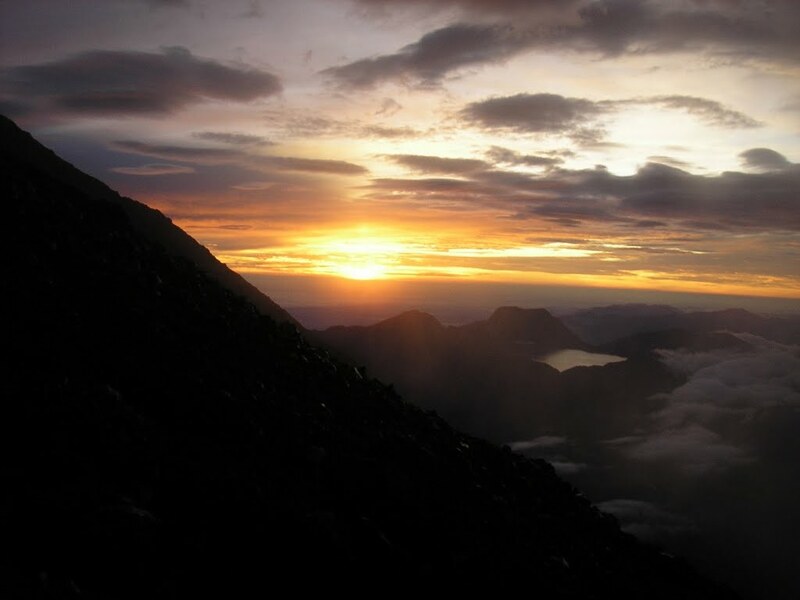 Fantastic website and info source for Indonesian mountains! As a solo-traveller it’s not necessary to go with old/unsafe public buses to Kerinci, to keep a low budget. It’s very easy to get one of the hotels/homestays in Padang to book a seat in a travel-taxi (new and modern Toyota Avanza or similar vehicle which takes up to 7 passengers) to Kersik Tua. They will pick you up at the hotel in the morning at no additional cost. The journey to Kersik Tua in travel-taxi takes only 6 hours, is safe and comfortable, and the price I paid was 140.000 rupies. This price was at the end of Ramadan, so maybe it’s cheaper other times of year. 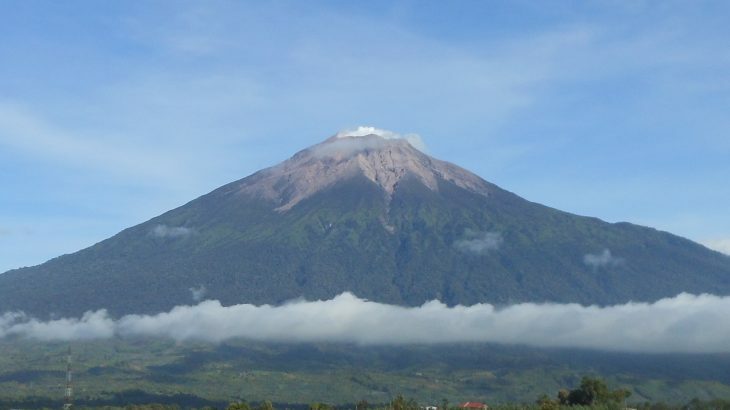 Some serious eruptions happening at Kerinci this past couple of days. Seemingly rather unexpected. A handful of hikers apparently still unaccounted for. Let’s hope they make it back ok.